Intelligent antenna is important for mobile satellite communications because it can increase the channel capacity, spectrum efficiency and coverage range of the communication systems. This paper overviews the technology for intelligent arrays with design examples. A detailed list of references is given in the end of this paper. Intelligente Antennentechnologie spielt in der mobilen Satellitenkommunikation eine wichtige Rolle, da sie die Kanalkapazität, die Spektrumseffizienz und die Reichweite der Kommunikationssysteme erhöhen kann. 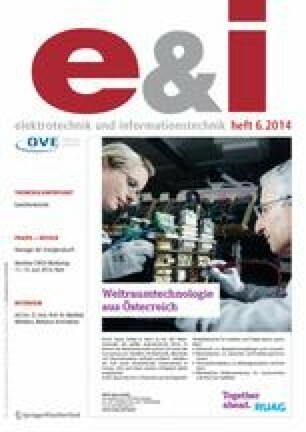 Dieser Beitrag gibt einen Überblick über die Technologie für intelligente Arrays und führt Design-Beispiele an. Am Beitragsende findet sich eine ausführliche Literaturliste zu diesem Thema. The authors acknowledge the funding from EC FP7 program “FLEXWIN” project. The author thanks all the team members for their contribution to the smart antenna research projects. The author also would like to thanks T. Chaloun, W. Menzel from University of Ulm and V. Ziegler from EADS for their discussions during the reflectarray design.